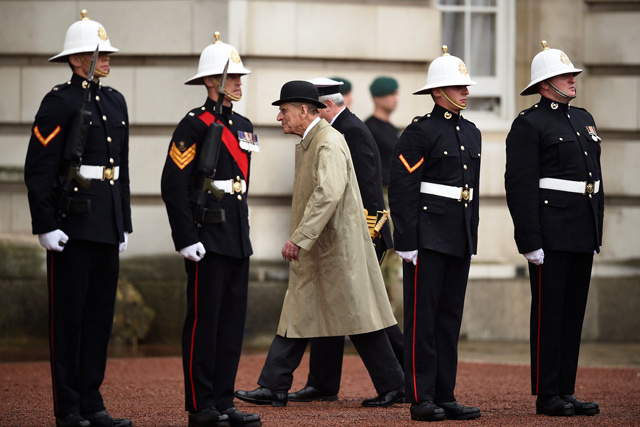 Britain's Prince Philip, Duke of Edinburgh, in his role as Captain General, Royal Marines, attends a Parade to mark the finale of the 1664 Global Challenge on the Buckingham Palace Forecourt in central London. 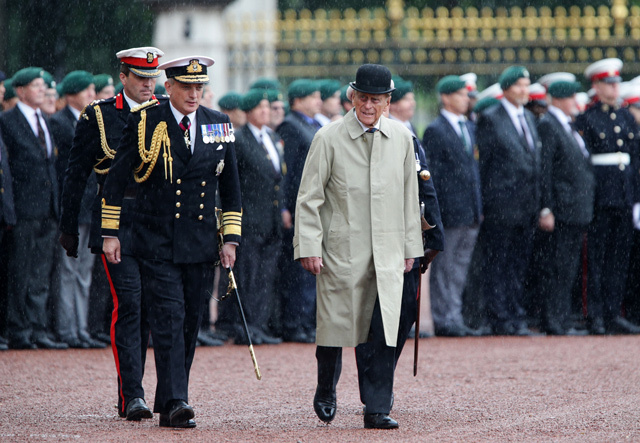 Prince Philip, the 96-year-old husband of Queen Elizabeth II, conducted his final solo public engagement on August 2, 2017, overseeing a military parade in the pouring rain before retiring from a lifetime of service. 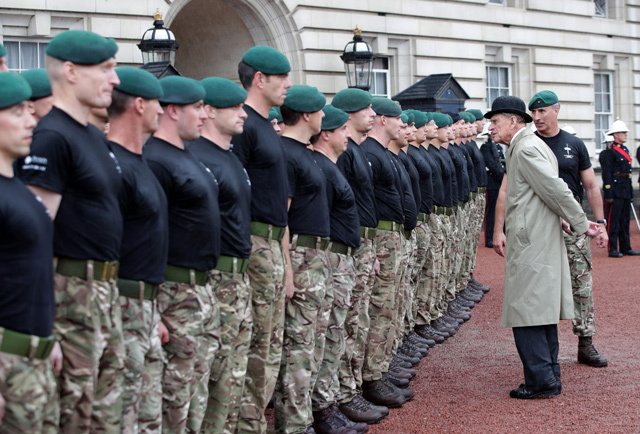 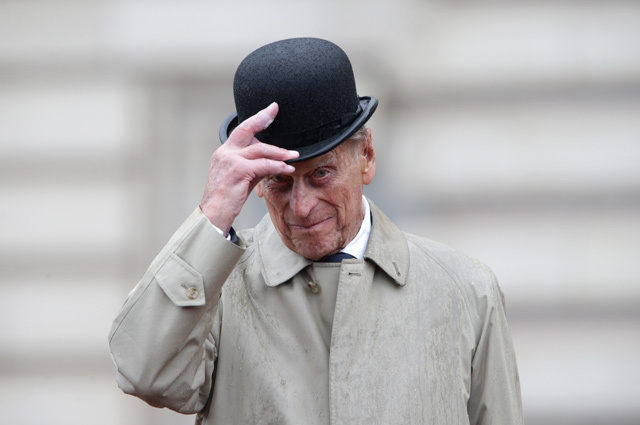 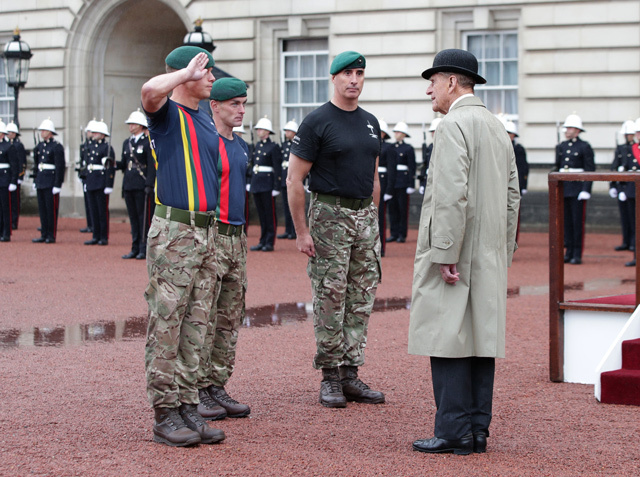 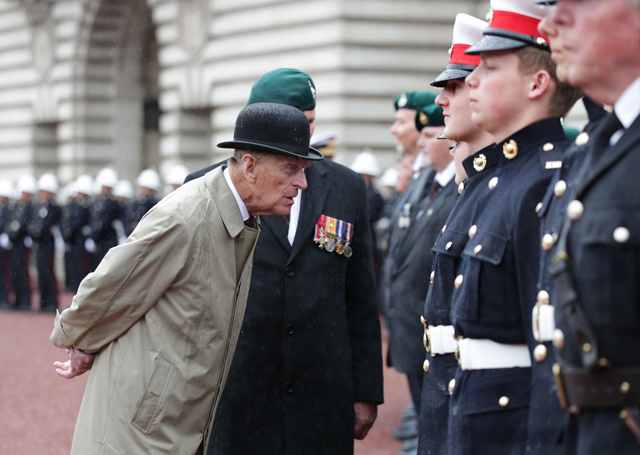 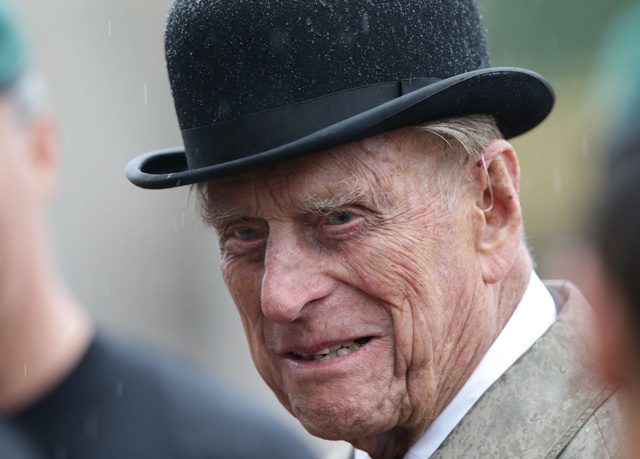 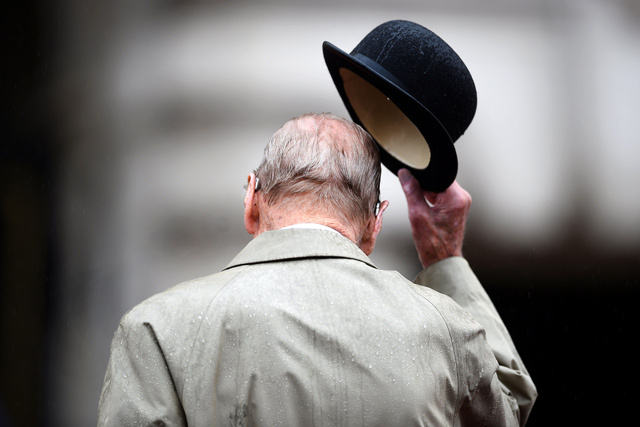 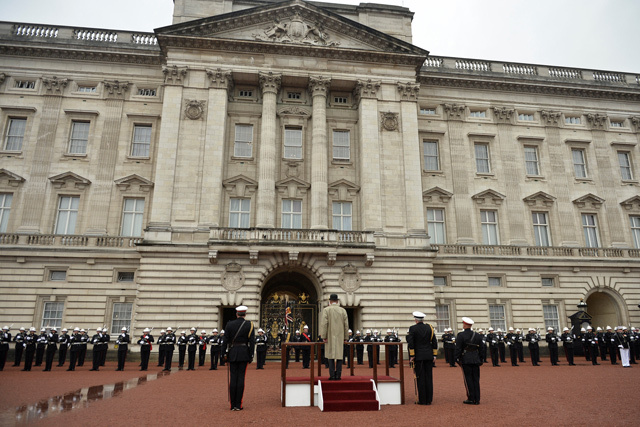 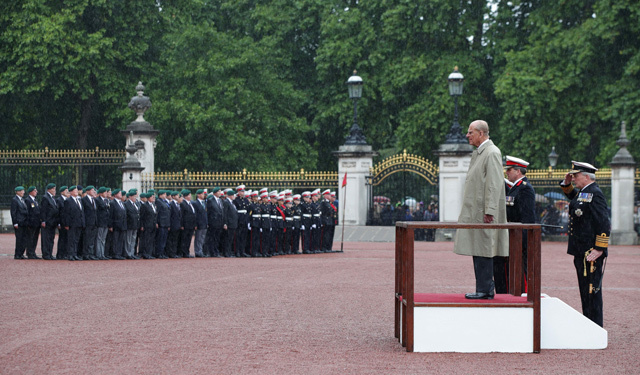 The Duke of Edinburgh, wearing a raincoat and bowler hat, met members of the Royal Marines and veterans - many younger than him - before taking the salute in the forecourt of Buckingham Palace.